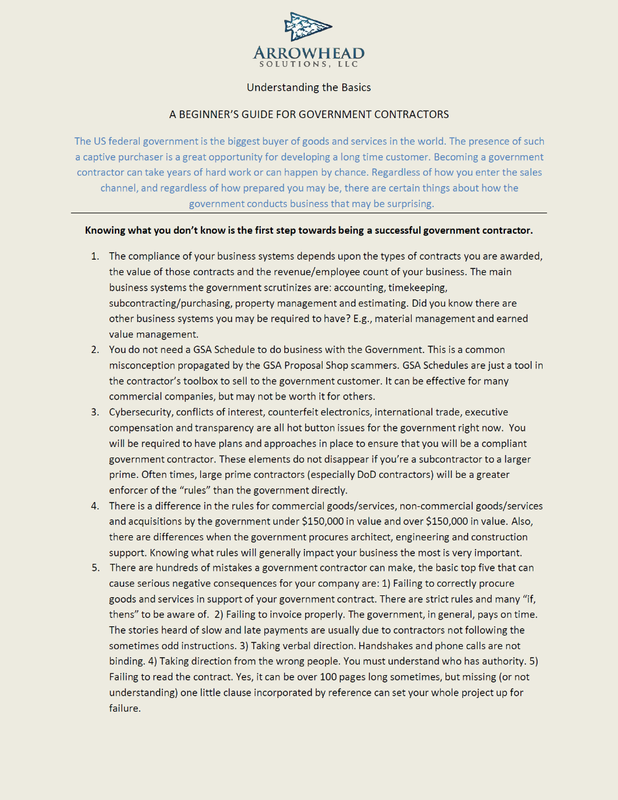 Government contracts are subject to a complex set of rules known as the Federal Acquisition Regulations (FAR). These rules impact the way you can do business; we can help your company navigate these rules and thrive as a government contractor. Arrowhead Solutions, LLC is an experienced group of proposal and contracts professionals who are dedicated to this highly specialized area of business management. 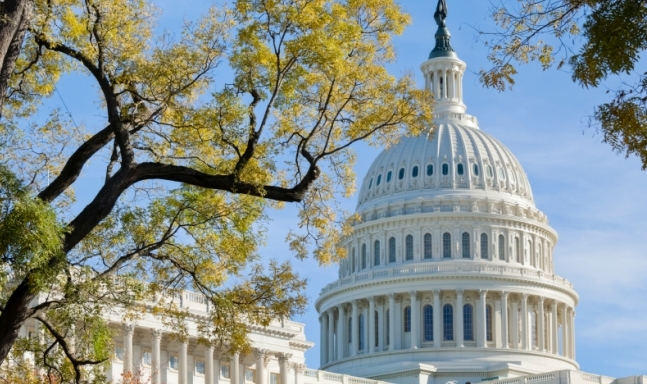 We help our clients successfully navigate government regulations by providing specialized guidance and support to ensure their success as profitable government contractors. "Compliant federal accounting can be harder than computational physics. It's great to have Arrowhead Solutions handling that aspect of RadiaSoft's business!" 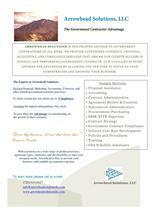 Arrowhead Solutions, LLC is your expert consulting group for small businesses aiming to capture government contracts through the GSA Schedule. 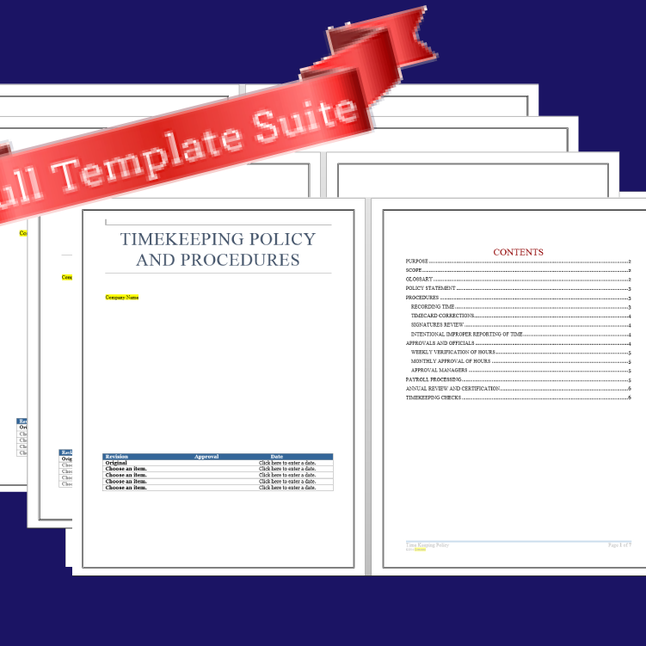 Arrowhead Solutions, LLC offers customizable policy templates that are Auditor-Vetted for accuracy.